Parents of children with autism and other disabilities in New Jersey can sometimes be overwhelmed with the complex system of state agencies, programs, and service providers which exist to help people with disabilities and their families. Accessing services and supports made available through the New Jersey Department of Human Services’ Division of Developmental Disabilities funded programs is an important part of most individuals’ transition plans, especially when students are approaching graduation or are “aging-out” of the school system. To help parents and educators make sense of it all, Jonathan Sabin, Director of DDD’s Office on autism, presented a free workshop in cooperation with Y.A.L.E. School’s Autism programs entitled “Autism: Navigating Through the Maze”. Attendees included Y.A.L.E. School parents and staff members, members of the community and representatives of local public school districts. “Building partnerships between private schools, local public school districts, and parents is one of our most important goals,” said John Wilson, supervisor of Y.A.L.E. School’s Audubon campus, who introduced Sabin at the workshop. Wilson and Y.A.L.E. School’s Autism Programs will host another series of events on Jan. 21 and 28, at Y.A.L.E. School’s Audubon campus, located inside the public Audubon High School building. Attorneys from the law firm Hinkle, Fingles & Prior will present workshops on the topics of transition, legal guardianship, and protected decision making for parents of adults with autism. Y.A.L.E. School has campus locations, including Voorhees, serving students with autism and related disabilities throughout southern New Jersey and the greater Philadelphia region serving children on the spectrum ages 3 through 21. Several of the campus locations, including Audubon, offer a unique ”school within a school” model in which Y.A.L.E.’s specialized classrooms operate within a local public school. To learn more about Y.A.L.E. 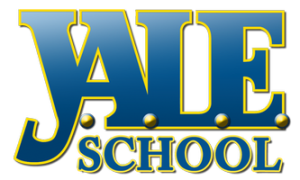 School, go to www.yaleschool.com.